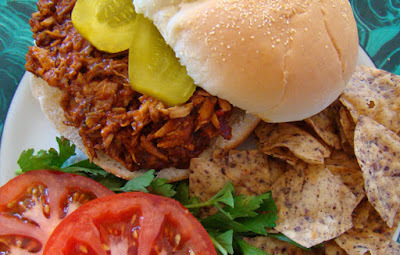 Phoenix Family Foodie Blog: Pulled Pork Sandwiches! I don't know what I'd do without my crock pot. Slow-cooking is probably my favorite method of cooking. It gives me a reason to cook all day, the meat is always super juicy and tender, and it gives me the freedom to change my mind and completely change the recipe two hours into the process. I started out with four thick, boneless pork loin chops and some Italian ingredients. I was going for a tomato sauce braised pork chop with some of the ingredients I had left over from the previous days. I seared the pork chops with shallots, garlic and scallions and then added some marinara, chicken broth, roasted red peppers and even some chopped pepperoni I had from my grilled pizzas! About an hour had passed, and I suddenly started craving a pulled pork sandwich (Subway is relentlessly running ads for its new sandwich). I had just about a cup of dark, sweet barbeque sauce left, so in it went. The result was delicious, flavorful, rich and tasty! 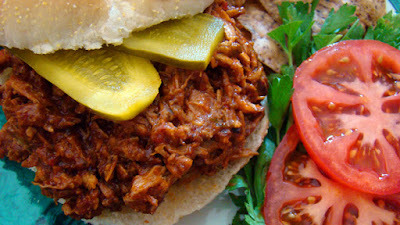 HOOP, Your pulled pork looks so yummy! I don't know what I'd do without my crock pot creations! Loved your TV spot! You're the real deal! Thanks Rebecka! 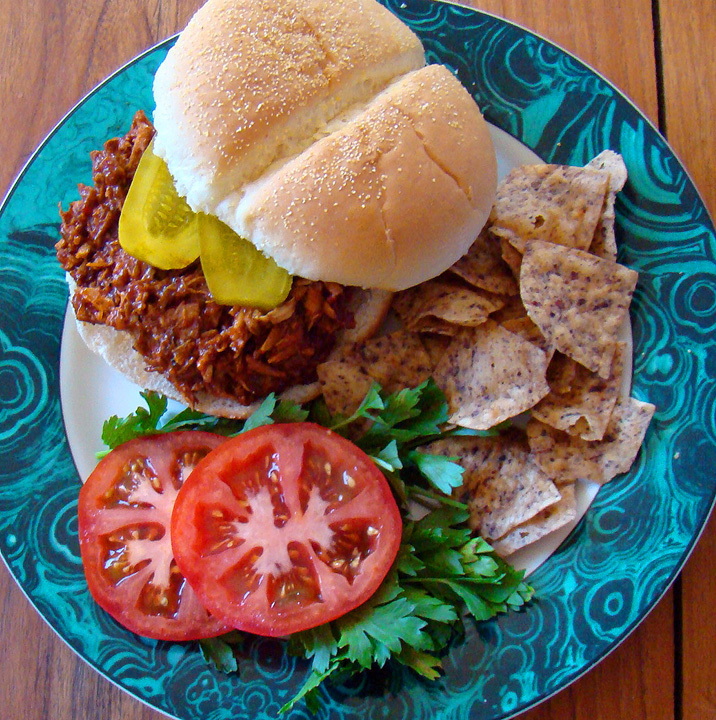 Crock pot creations are the best! Can't wait to see what you post on "At Home"!